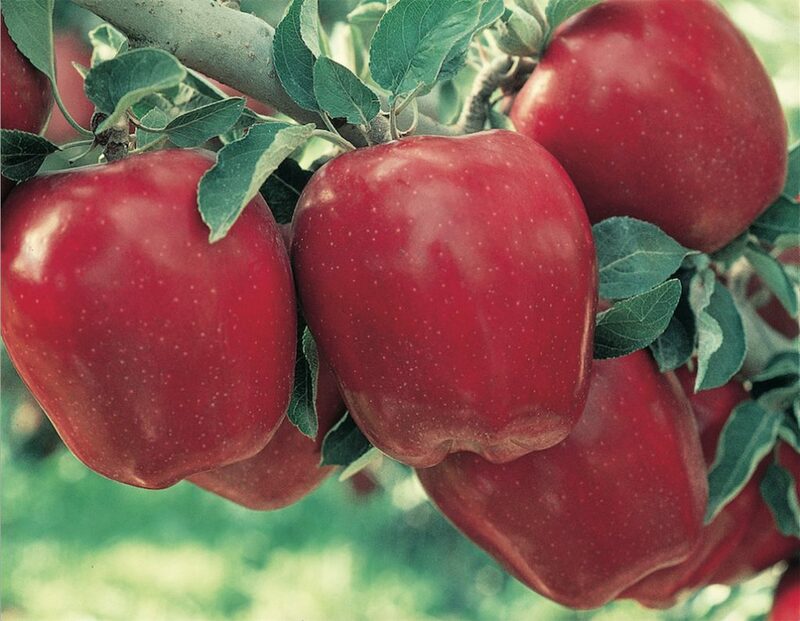 Now one of the world’s most familiar apples, Red Delicious was discovered by chance; an event that vaulted Stark Bro’s into the chronicles of apple lore. 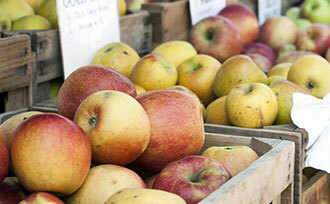 Back in 1893, the best-known and the most widely-planted apple was ‘Ben Davis’. It was a hardy apple that stood up to tough winters, would grow almost anywhere and did not bruise easily, but it had a rather significant drawback: it didn’t taste very good. Clarence Stark knew well the shortcomings of Ben Davis apples. Unable to discourage farmers from raising them, he decided the only alternative was to find a better apple himself. And so intrepid Clarence literally got on his horse, and traveled through the Ozarks, studying varieties all along the way. He returned with several good ones — ‘Senator’, ‘King David’ and ‘Champion’ — but the elusive flavor he sought was not among them. Never easily satisfied, Clarence continued his search for a more perfect apple. But how to find it? He couldn’t keep traveling all over the country on horseback, and jet airliners hadn’t been invented yet. Then the idea struck him: have growers send in samples, and conduct a contest to determine the best variety! Not only would new apples come to Clarence, but he could also draw attention to Stark Bro’s with ads for the contest. 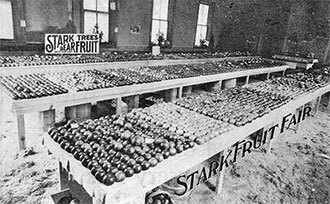 And so the very first International New Fruit Show was held, with great fanfare, in 1893. Professor Henry E. Van Deman, then the official USDA Chief Pomologist, was brought to Louisiana from Washington, D.C. to be a judge. Invitations were sent to apple growers all over the country, asking them to send in their varieties for the contest. Hundreds of entries were received from 27 states. One of those growers was Jesse Hiatt, a good Quaker man. Some years ago on his Peru, Iowa farm, he discovered a chance seedling in his orchard of ‘Yellow Bellflower’ trees. He chopped it down, but the next season, it sprang back up. He chopped it down a second time. It came back again. “If thee must grow,” he told the stubborn sprout, “thee may,” goes the story. Some years later, Hiatt’s tree bore its first fruit. The apple was an elongated globe with red-and-gold striped skin, crisp flesh and a five-pointed calyx. He named it ‘Hawkeye,’ in the spirit of his home state, and offered it around for sale — but there were no takers. It was turned down by at least eight nurserymen because of its strange oblong shape and bumpy bottom end. “Just too odd-looking,” they said. What was not odd was the flavor, which was just plain wonderful. On the day of the contest, five apples of each variety were put on plates and grandly displayed on long tables. The entry card was placed near each plate to identify the grower. It was quite a sight, all of those red, shiny apples. 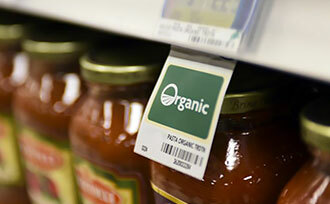 A seven-year-old boy was in attendance, marveling over the myriad of varieties. That little boy grew up to be Lloyd Crow Stark, the long-time chairman of Stark Bro’s, and Governor of Missouri. There was much animated discussion, some arguing and a lot of apple-tasting until the winner was finally announced: first prize went to the apples with finely-colored red and gold stripes, long, distinctive shape and five small bumps on the calyx end. A good-looking apple to be sure, but it won for its exceptional flavor. The moment Clarence bit into one, he excitedly exclaimed, “My! This apple is delicious!” He paused, thought, and spoke again. “That will be its name! Who sent them?” The judges overwhelming declared the strange-but-delicious apple the winner. But who had sent the apple? Chatter rose as the crowd speculated. To Clarence’s great dismay, it became clear that no one knew who had sent the prize-winning beauties — the entry card was missing. Either the grower had failed to send it, or it had been carelessly lost. A frustrating, frantic search failed to bring it to light. Meanwhile, back in Peru, Iowa, Jesse Hiatt was busy with his orchard. He never heard from the folks at the New Fruit Fair, and figured they must not have liked the shape of the Hawkeye, either. As a faithful Quaker, however, he refused to give up, and persisted in trying to get a taker for his unique apples. Clarence knew he had to find the grower of this marvelous fruit. Its flavor was superior to anything he had ever encountered, and he despaired that it might be lost forever. 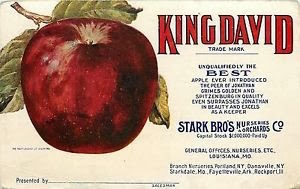 He immediately sent letters to every grower who had entered the 1893 contest, urging them to send their best apples to the next Stark Bro’s New Fruit Fair. Hiatt received that second invitation, and dutifully sent his long-and-bumpy apples to the Stark folks, along with a letter suggesting that they buy his tree. Within five minutes of the fruit’s arrival, the brothers knew they had been blessed again. The contest went on, but this time, there was little discussion and no arguing whatsoever. The winner of the 1894 International New Fruit Show: Hawkeye, grown by Jesse Hiatt of Peru, Iowa. There was an entry card, and with it, an enormous sigh of relief. The Delicious apple was saved for the world to enjoy. Clarence was elated. He could not get to Iowa fast enough. 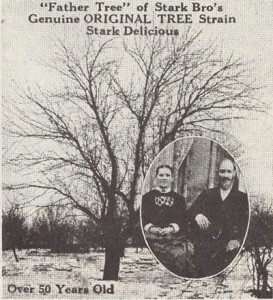 The Stark brothers made the trip immediately and bought the sole rights from Hiatt, named the apple “Stark® Delicious” (only after naming ‘Golden Delicious’ in 1914 did it become ‘Red Delicious’) and secured a registered trademark. The brothers could not wait to introduce their find to the public. 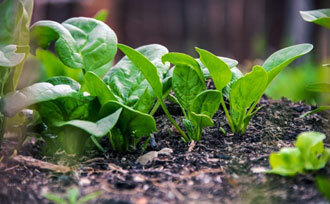 Organic Growing Myths & Mistakes There’s more to organic growing than just clearing the chemical fertilizers, pesticides and herbicides out of the garden shed. Knowledge is most certainly power, and having it can save you money, toil and trouble. 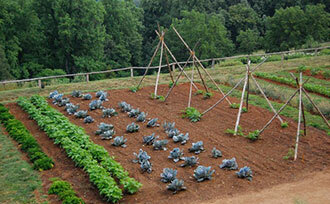 Here are several myth-busters and information about organic gardening you probably didn’t know. Preventing Problems Before They Begin Organic gardeners have fewer tactical weapons in their arsenal in the war against pests and diseases, as chemical problem-fighters are not in the mix. Non-chemical alternatives are, by nature, less potent and sometimes an extra effort is required to keep your garden in good health. Preventive action bridges the gap. 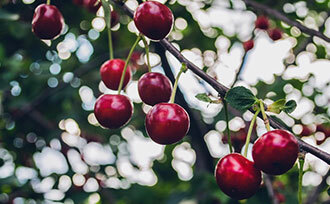 The Best Fruit-Tree Varieties for Organic Growing Raising your fruit trees without the aid of man-made chemicals can be a challenge, so why not make it an easier and more successful endeavor by choosing disease-resistant organic trees at the outset? Growing More “Perfect” Organic Fruit In the absence of chemical sprays, dusts and synthetically manufactured growth-boosting fertilizers, organic fruit growers have learned to live with a few blemishes. It’s a small price to pay, knowing the fruit they grow is pure and natural. But did you know that you can grow more “perfect” organic fruit? Here are our best tips for the handsomest fruit on the block, without chemical sprays. 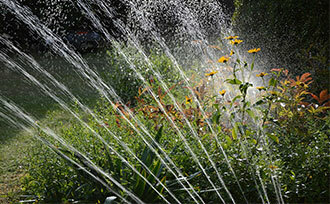 Watering & Conservation Water gives life to growing things — you couldn’t have a garden without it. The average garden requires about an inch of water per week, sometimes more, depending upon what’s growing there. Of course, it never rains precisely one inch per week, so we usually have to augment the water supply during dry periods. This article provides a number of best practices and helpful tips for proper watering and waste prevention. 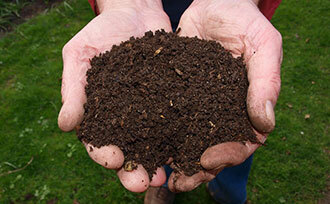 Soil Health Go out to your garden and scoop up a handful of soil, then really look at it. Is it pale or dark? Does it have little holes throughout and crumble easily, or does it stick together when you compress it? Do you know whether your soil is healthy or not? 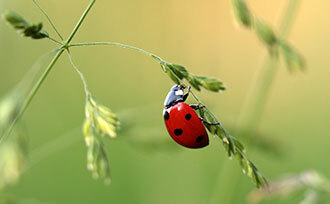 Beneficial Insects As gardeners, we are well acquainted with pest control. Japanese beetles, aphids and caterpillars are the bane of our existence, and a sizable portion of our time in the garden is spent trying to get rid of them. There are chemical controls, and also products like neem oil — which are made from natural ingredients — but there’s also another method of pest control, and that is to fight insects with insects. 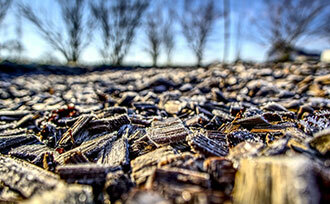 Organic Mulches Mulching — which dates back to the Stone Age — didn’t really catch on in the U. S. in the ‘70s. Since then, mulch materials and practices have evolved into a literal science, and mulch has become something of an obsession among some yard enthusiasts. How To Make Compost What if someone told you that the very best fertilizer in the world doesn’t cost a dime, that you don’t have to drive anywhere to get it, and that it virtually manufactures itself? ** Flat-rate shipping is for new orders only, and may not be applied to existing orders. Flat-rate shipping is not available on orders shipping to Alaska. Offer expires 11:59pm CDT, April 30, 2019. * Arbor Month promotion runs from Thursday, April 4, 2019 to 11:59 pm CDT, Tuesday, April 30, 2019. Promotion applies to daily selected trees only. Promotion is for new orders only and may not be applied to existing orders, wholesale orders, or order shipping to Alaska. © 2019 Stark Bro's Nurseries & Orchards Co.